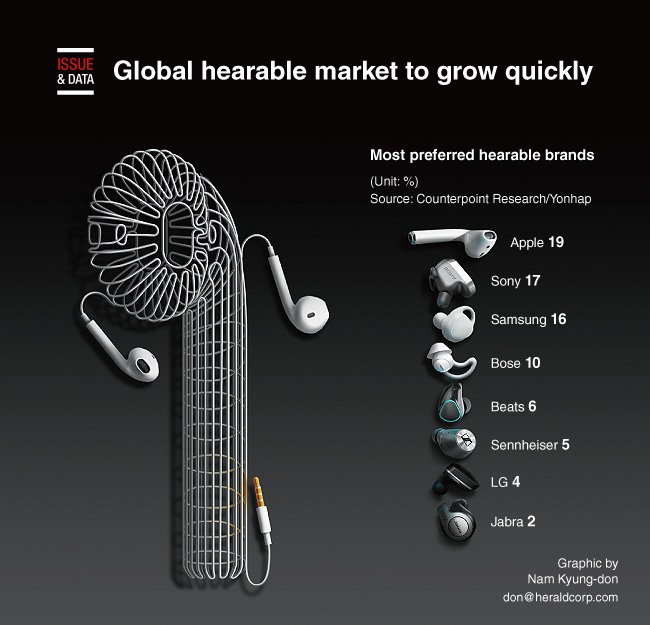 The world market for wireless hearables is expected to grow quickly over the next two years thanks to the popularity of Apple’s AirPod, an industry report said. The global market is estimated to reach 129 million units by 2020, compared with about 46 million units last year, according to a report from industry tracker Counterpoint Research. The report, however, didn’t provide an estimate for this year’s global sales. The research firm said Apple’s upcoming second-generation AirPod and similar earbuds from other technology giants will boost market growth.